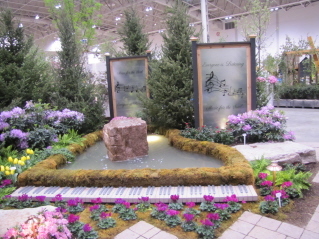 My initial impressions of Canada Blooms were WOW, this is better that the Boston Show. Both were wonderful in there own way.﻿ There seemed to be two themes to this show. One was 'Juno Rocks'. 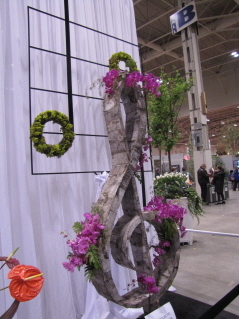 A strong music influence in some of the gardens and flower arrangements which were just over the top. The other influence was 'Nurture Urban Nature'. 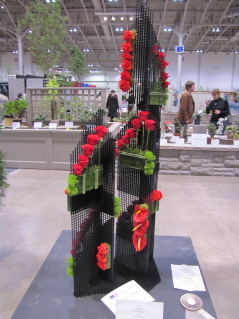 They nailed this one also because you had a feeling in some of the displays of being very modern and urban. They definitely were city styled gardens. 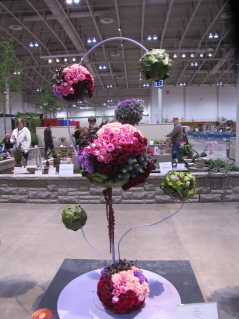 As I said above the flower arrangements were over the top. Far better and more creative than Boston.﻿ To put these together must have taken days. We were there on Saturday and they still looked 'fresh as a daisy'. 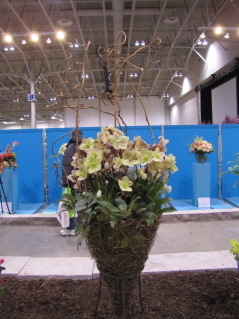 Where as Boston had all kinds of Orchids for sale, Canada Blooms were selling Helleborus. Although nothing really exciting. They were mostly white and pale green 'no mamed' varieties. No interesting colours or even doubles. I did not bring any back. Did find a daylily I was looking for, a fern, new butterfly bush and a new sempervivum although a bit on the pricey side for what they were. 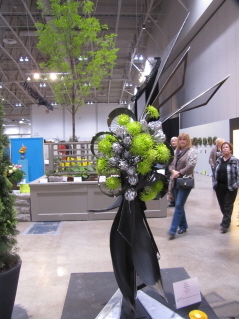 There was a booth with succulents and sedums but none of them were named. Very disappointed. 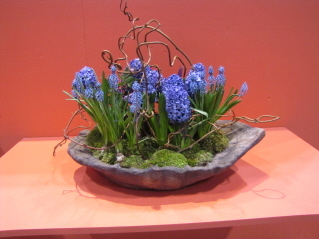 I can only put so many pictures on the blog, so check out woodlands and meadows on facebook for more pictures.